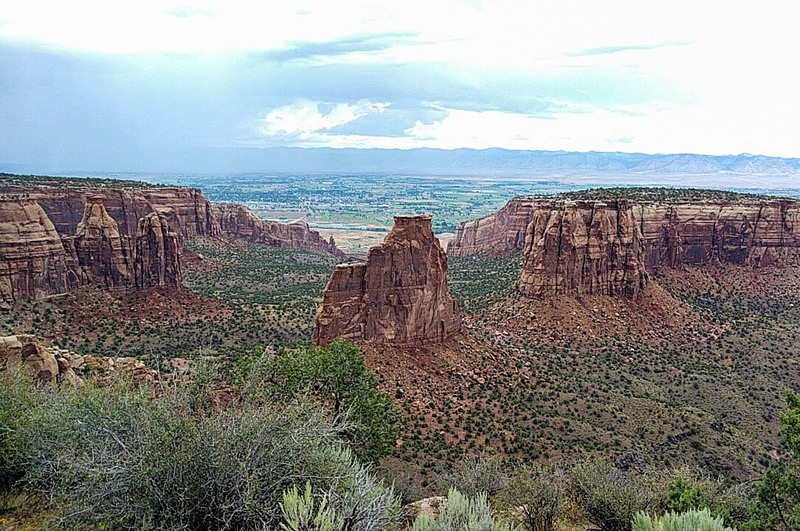 It was threatening rain the day we decided to tour the Colorado National Monument. We thought about staying home, but it was now or never, so we packed a lunch, threw our rain gear in the car, and set out to at least drive through the area. By doing so, we witnessed a rare treat – and it was instantly obvious why one must beware of flash flooding while exploring new areas. The terrain is largely rock with just a sandy covering. There’s no place for water to go, so almost as soon as the rain started, muddy waterfalls formed. They poured out of cracks and crevices between rocks, down every gully, across roads and down overlooks. Down below, we watched as dry creek beds filled with rushing water. We came across a few locals who had never been here during a rainstorm and they were just as fascinated. Then, nearly as abruptly as the water started flowing, it stopped entirely. The waterfalls were gone and the only evidence of passing rain was damp sand under our feet. We stayed at the Grand Junction KOA while visiting the area. 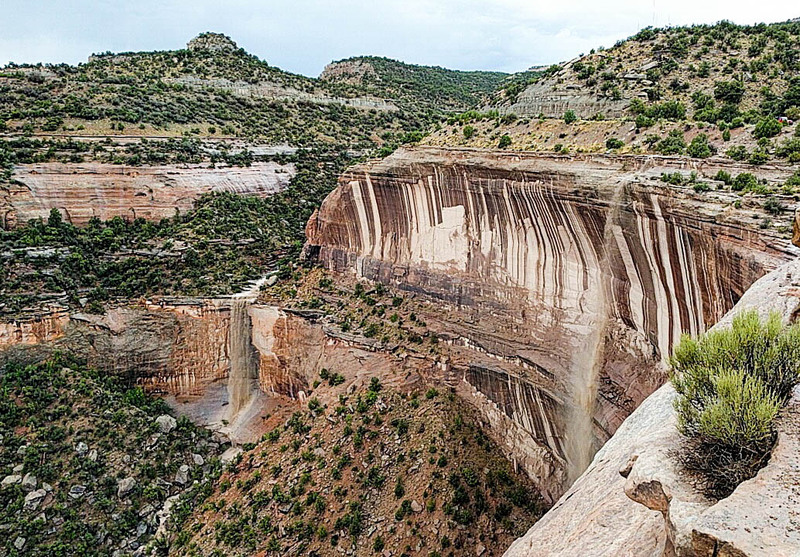 For more information about Colorado National Monument, visit the National Park Service website.